Everyone loves a good comeback story, right? It’s why we watch inspirational movies and cheer for the underdog at baseball games. It’s a tale as old as David and Goliath—we always root for David to get his shot. There is something innately wired in us that honors others tackling life with resilience. This month, our word is resilience. At Sozo we have had the honor of seeing firsthand this word lived out in the story of one of our oldest boys, one who has recently graduated from secondary school. His character is honorable and his drive is unparalleled. A resilient person demonstrates the ability to bend, but not break, to stumble, but not stay down—a person of resilience can not be shaken. Junior grew up in an impoverished area of Uganda. Enduring malnutrition, being surrounded by cultural evils, and living in unimaginable conditions, his early years were far from easy. Thriving in the community and focusing in school were nearly impossible due the chaotic and unstable environment; this was Junior’s reality prior to coming to Sozo. All of our kids have incredible dreams and Sozo seeks to empower these children so that they might reach their goals. When Junior became a part of the Sozo family, he expressed his ambition of becoming a doctor someday. He desired to break the cycle of poverty and create a sustainable life that he might be able to help children facing similar situations in years to come. When the time came for him to take his national exams, a test that would determine his qualification to continue onto a higher education, he didn’t score as high as he hoped he would. With the score he received, he would not be able to apply to medical school. Needless to say, he was distraught. Each one of us can relate to this type of crushing disappointment; we have all experienced the confusion and pain of having to accept when our paths don’t go as planned, we’ve all stood in these shoes—overwhelmed and disappointed with a reality that wasn’t anticipated. But we all also know this truth: difficult circumstances do not get the final say in our stories because God’s plan for our lives will always prevail. Junior is a survivor and a fighter. Being the resilient soul that he is, Junior didn’t choose to stay discouraged. Instead, knowing he could do better, he sought out Aggie, our Child Development Director, as a source of wisdom and support. She told him he could repeat the year and retake the exam. 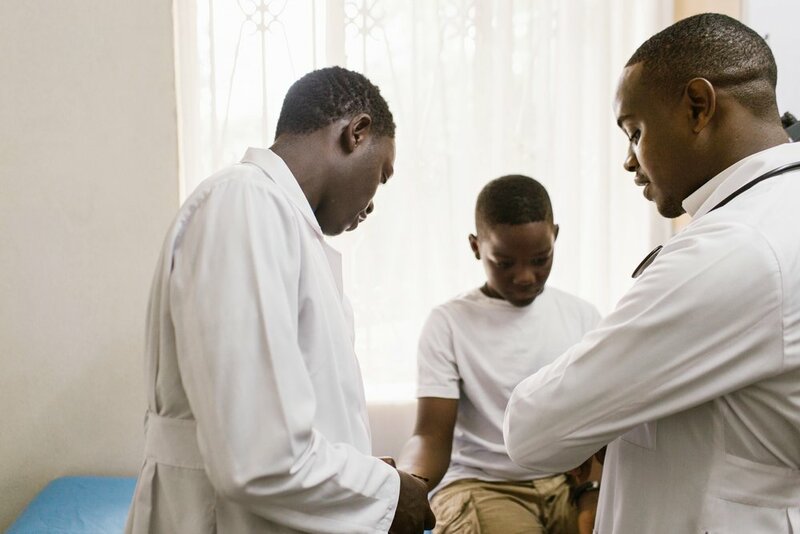 Promising himself, and those around him, that he would study harder and come back stronger, Junior took this second chance to pursue his dream of going to medical school. From then on, when Junior was faced with obstacles in school, he did not break, but remained unshaken. He did not let fear or pride seep in, rather he clung tightly to hope and determination. He worked harder than ever and spent another year repeating his courses, knowing he was constantly working towards his dream. When he wasn’t immersed in his course work, Junior spent hours in the village. 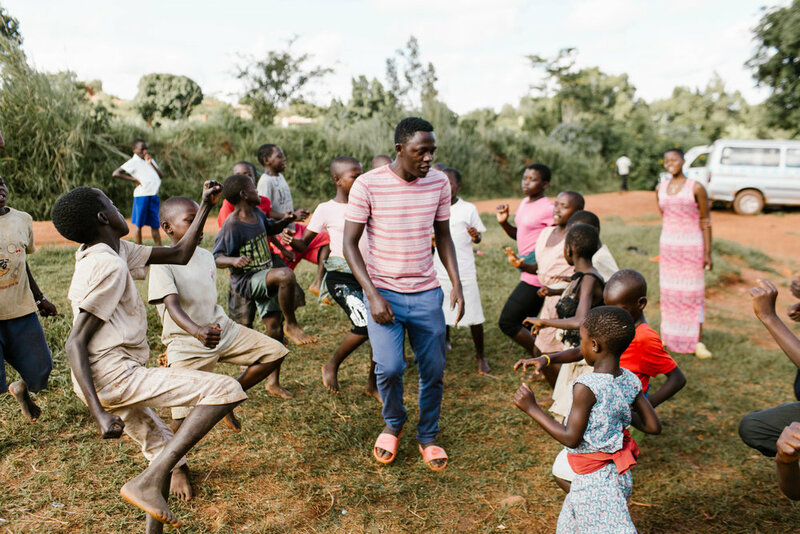 He served with an energy that was clearly from the Lord—giving hours of time to love on Kid’s Club attendees and worked earnestly on the land for future Sozo children. After this year of classes and hours of preparation, Junior was able to take the national exam once more. His result this time differed from before, this time he scored high and passed. He recently got accepted into university and is now living out his dream studying to become a doctor. To know him, is to love him. Junior lives a life of constant outpouring. He is a role model for all of us. He exemplifies a resilient character that we believe will carry him to succeed in medical school. He is on a mission to give back to his country and his people and we could not be prouder to watch God work through him and cheer him on. May we strive to be like Junior, never giving in to what is easy, but always choosing to stand back up when knocked down. Let us be resilient Kingdom builders.